Care Angel can find your loved ones where they are using a mix of GPS, Wi-fi, GSM & BLE to provide the most accurate location information. Complete with a unique alarmed strap, Care angel automatically sends a message to a paired device should the strap be undone. Our App, (IOS/Android), enables you to view your loved ones movements on your smartphone/tablet, by downloading the free Care Angel App. Splash, sand and sticky proof. Care Angel can go wherever your loved one wants to. 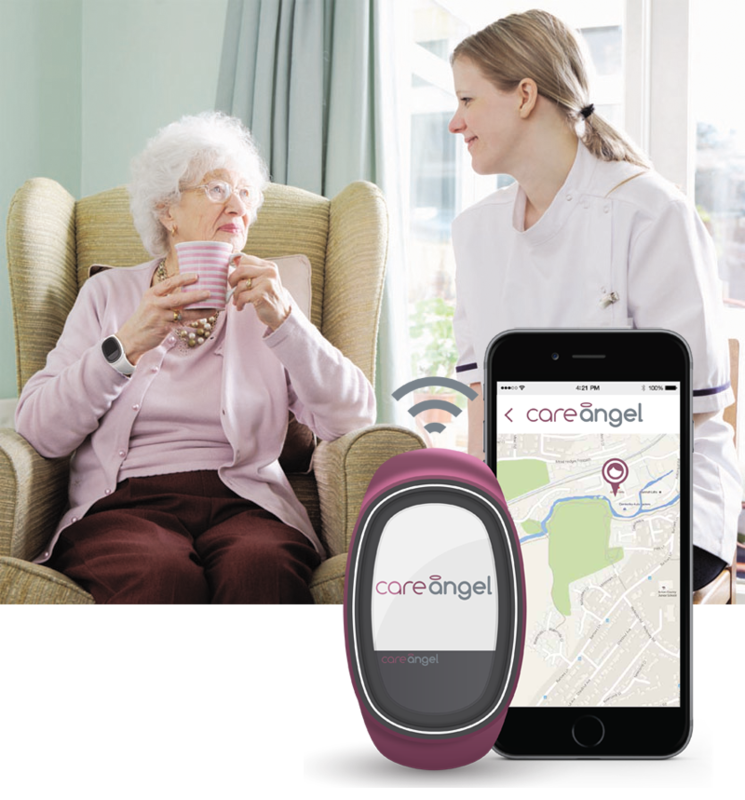 Care Angel enables you to keep check on your loved ones; speed, temperature, heart rate, movement patterns and more….! 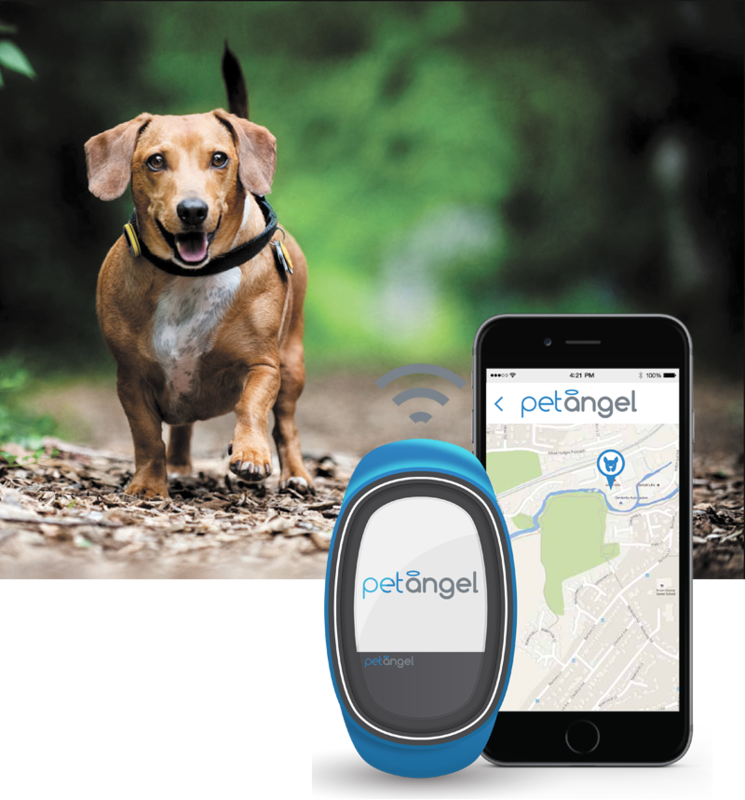 Pet Angel can find your Pets where they are using a mix of GPS, Wi-fi, GSM & BLE to provide the most accurate location information. Complete with a unique alarmed strap, Pet angel automatically sends a message to a paired device should the collar be undone. Our App, (IOS/Android), enables you to view your Pet’s movements on your smartphone/tablet, by downloading the free Pet Angel App. Splash, sand and sticky proof. Pet Angel can go wherever your Pet wants to. Pet Angel enables you to keep check on your Pet’s; speed, temperature, heart rate, movement patterns and more….! School Angel can find your loved ones where they are using a mix of GPS, Wi-fi, GSM & BLE to provide the most accurate location information. Complete with a unique alarmed strap, School angel automatically sends a message to a paired device should the strap be undone. Our App, (IOS/Android), enables you to view your children’s movements on your smartphone/tablet, by downloading the free School Angel App. Splash, sand and sticky proof. School Angel can go wherever your loved one wants to. 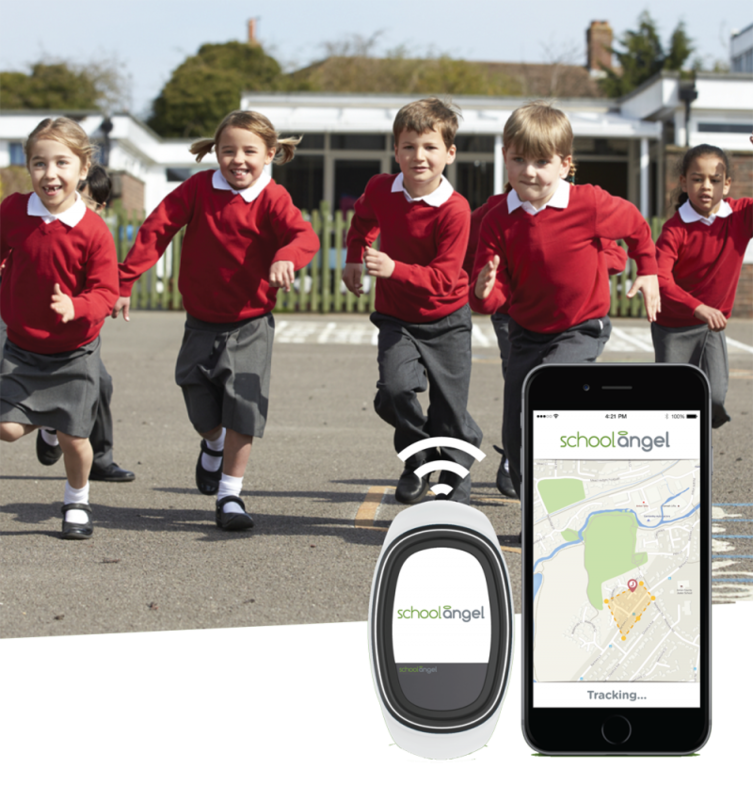 School Angel enables you to keep check on your loved ones; speed, temperature, heart rate, movement patterns and more…. !